Melbourne (HAN) July 27, 2014 – Coffee Market News. The Australian International Coffee Awards (AICA) would like to congratulate the five trophy winners that were announced at the 2014 AICA Awards Presentation and Cocktail Party held at the Melbourne International Coffee Expo. 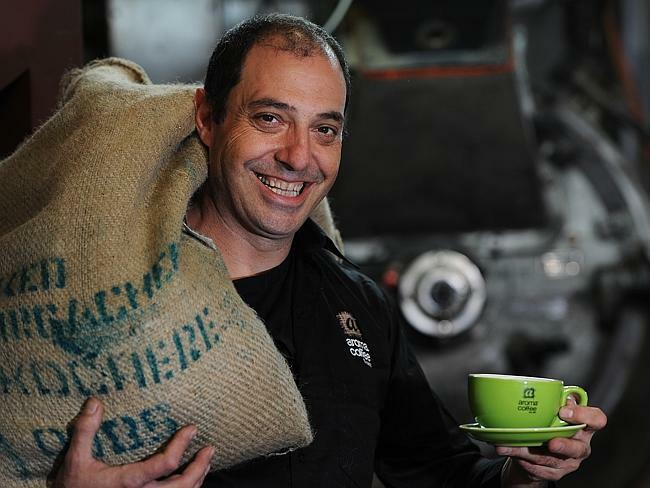 Roasters from Australia and New Zealand have taken home the top accolades at the 2014 Australian International Coffee Awards (AICA) conducted by the Royal Agricultural Society of Victoria (RASV). 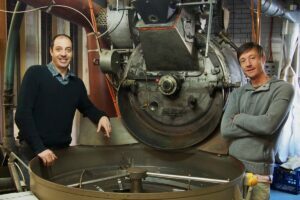 Aroma Coffee Roastery from New South Wales have won Champion Australian Roaster and Toasted Espresso from Auckland, New Zealand, were awarded Champion International Roaster. This year the AICA received a record-breaking 800 entries and 170 medals were awarded – 12 gold, 43 silver and 115 bronze – to entrants from Australia, New Zealand, Singapore, Hong Kong and Japan. Victoria took home six of the 12 gold medals awarded, including the trophy for Champion Milk-Based Coffee awarded to Reverence Coffee Roasters. Trophies for Champion Espresso and Champion Filter were awarded to New South Wales brewers Danes Gourmet Coffee and Aroma Coffee Roastery respectively, with New South Wales claiming four gold medals overall. Between James and Gavin and the decades of coffee tasting between them, they have an extremely precise calibration of their taste and olfactory senses. Two tons of coffee is processed on these premises every week thanks in part to Aroma Coffee’s award winning espresso and filter roast “No. 1 Ruby Street” and the title of Champion Australian Roaster at the Rural Agricultural Society of Victoria’s Australian International Coffee Awards. The main question to to Aroma Coffee’s award winners, where do these flavours come from? “Think of the equator as the ‘coffee belt’ around the world” James explained. The closer you can grow to the equator, the better. As long as frost does not affect the crop higher up the mountain slopes, altitude plays the most important part, determining density and malic acidity formation (which is associated with the citric flavours of some fruits). High altitude crops do take longer to grow but “the bean is denser and a higher rated organic convertible compound”. Ristretto Coffee Roasters from Western Australia claimed a gold medal in the filter coffee category and Rush Coffee Limited claimed an international gold medal for New Zealand. The AICA is the Asia Pacific’s premier coffee roasting competition which celebrates and promotes coffee roasting excellence in Australia, New Zealand, the Asia Pacific region and around the world. Entries for the 2015 Australian International Coffee Awards will open in December 2014.